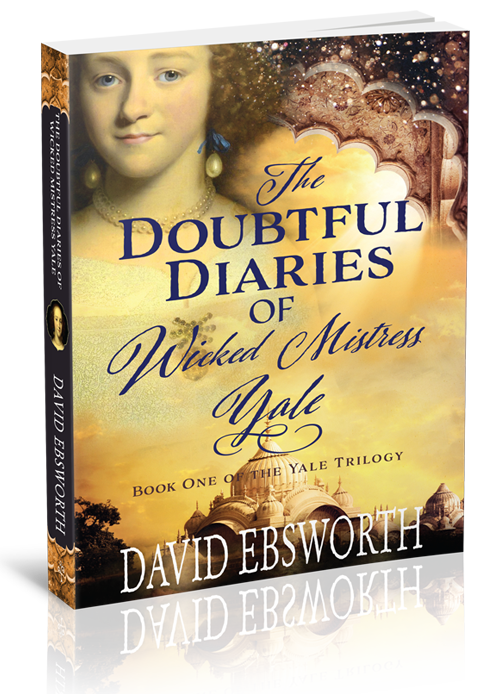 In his seventh novel, the first of a trilogy, David Ebsworth tells the story of nabob, philanthropist – and slave trader – Elihu Yale, but through the eyes of his much-maligned and largely forgotten wife, Catherine. A political thriller and family saga, very much in the tradition of Winston Graham’s Poldark but the setting for this opening chapter of the Yale story set in late 17th Century Madras. More action and intrigue set in times past. "Superb! David Ebsworth has really brought these dramatic events to life. His description of the fighting is particularly vivid and compelling." "This is an excellent piece of writing and I found myself really wanting Marianne and Liberte to survive and succeed in their dreams." " It is brilliantly put together, with mystery and thought provoking elements all combined with some humour and great history." but which seem to have been overlooked, until now! Simply add your name and email address and you’ll get monthly author updates, free chapters, invites to local events and subscriber only offers.